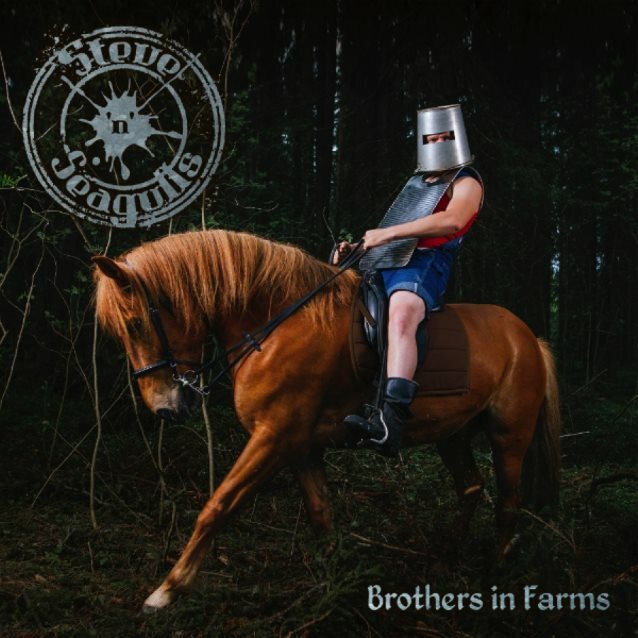 Finnish band STEVE 'N' SEAGULLS, which shot to fame in 2014 thanks to its bluegrass covers of metal classics, released its second album, "Brothers In Farms", on September 9 via Spinefarm. The official video for the latest single, STEVE 'N' SEAGULLS' hillbillified cover of GUNS N' ROSES' "November Rain", can be seen below. What became a genuine international viral phenomenon actually started out on a farm in central Finland; in a barn, to be precise... There, a bunch of like-minded countrymen — with the emphasis on "country" — played a customized version of AC/DC's "Thunderstruck" using homespun instrumentation, everything from banjo picking to anvil bangin' to achieve their original take on a classic. They filmed the event, posted the results on YouTube, and within a couple of weeks, the clip had accumulated over five million views. It's now topped out at 25 million. For STEVE'N'SEAGULLS, this was a bolt from the blue, but then, as history shows us, the greatest stories ever told tend to start in a stable... Yes, a stable. 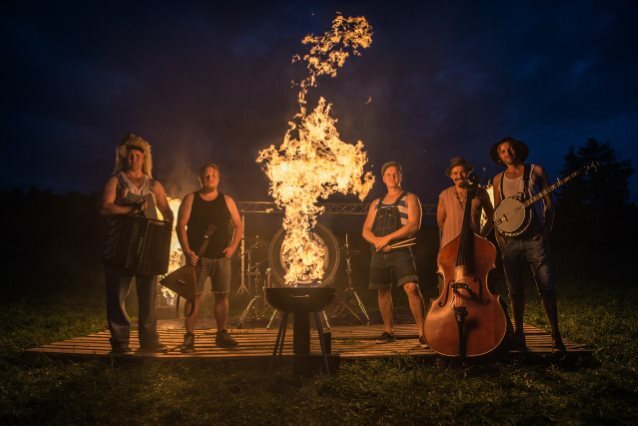 September 21, 2015 was christened Steve 'N' Seagulls Day in the entire state of Colorado, while the band also covered the BEASTIE BOYS' hit "Sabotage" for The AV Club, toured the U.S., bringing their folk metal madrigrals to the masses, and appeared at the annual SXSW festival in Austin, Texas.